FRIENDSHIP SYSTEMS specializes in software and solutions for the design of flow-exposed products. We offer you geometry modeling services, support in the design process automation, consultancy in the context of CFD-driven engineering tasks as well as individual OEM solutions for CFD developers. No matter which CFD package you use in your company or from which industry you are – please do not hesitate to drop us a line if you are interested in robust variable geometry for CFD, as well as CFD-driven design explorations & shape optimization. Interested in fast and automated creation of design variants in your CFD department? We can help you to build your CFD-ready geometry model on the basis of CAESES® in just a few days. Our variable geometry models are 100% robust and perfectly suited for automated meshing and CFD analysis. The generation of new design candidates will be super easy for you, no further preprocessing (healing, defeaturing etc.) is required! Such a model can be based on a CFD-centric thinking, i.e. we can incorporate all your flow-related parameters and application-specific degrees of freedom. Any design constraints can be considered and built in as well. You get a tailored parametric model for your department, always in tight communication with you. You are the expert, and we check how to bring it into the CAESES® environment. 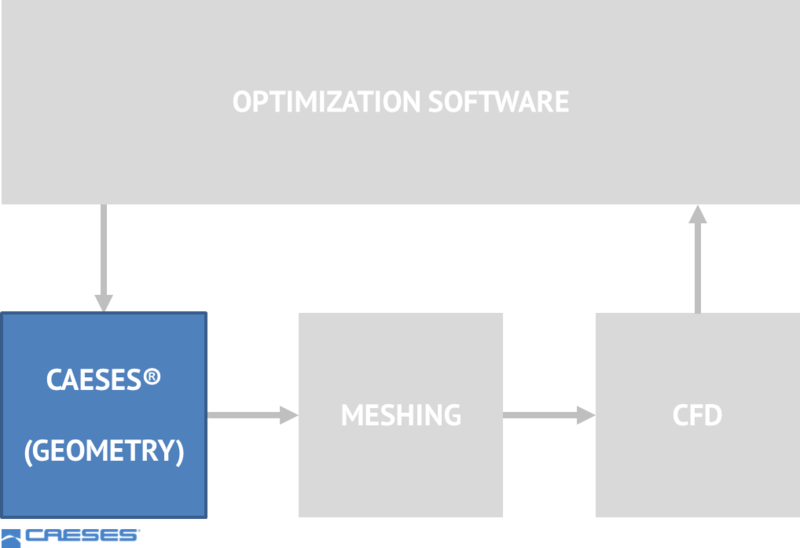 We build your parametric model and optionally automate your simulation together with you. We train you on the model setup, to make you able to maintain and modify it. Besides the creation of robust geometry models, we can assist you in integrating your new geometry model into your existing workflow so that you benefit from your new geometry models right away. All your CFD tools can be connected to the models in order to automate the simulation run of a design candidate. We wrap everything into an easy-to-use browser interface so that you or your colleagues do not need any new software expertise to conduct design studies. 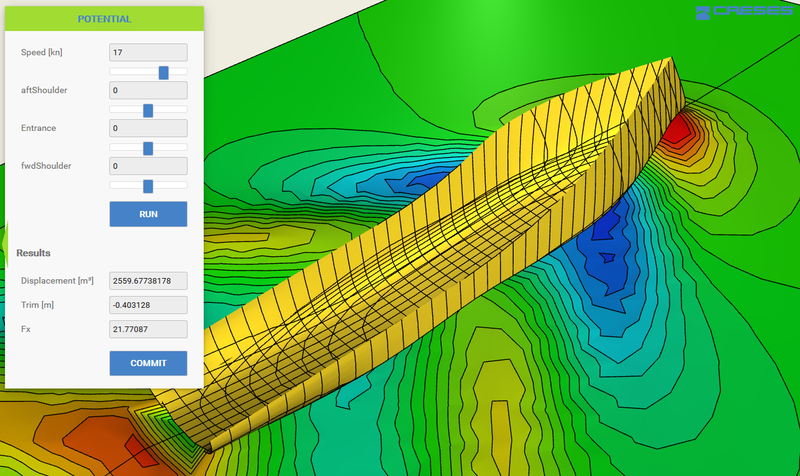 These web apps can even contain full CFD setups, to quickly create and analyze a new design candidate. Learn more. 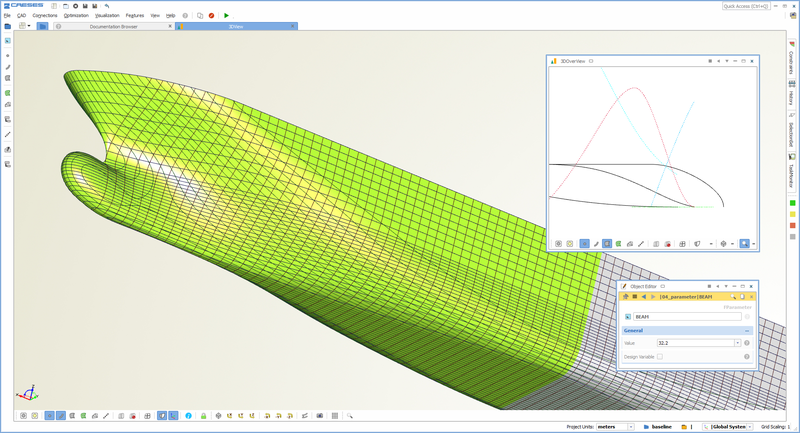 If you already use other optimization tools in your department, we can assist you in running your new geometry models in batch mode. Your existing tools can directly control and modify the CAESES® models, manually or fully-automated. We also have several close collaborations with vendors of optimization software (Dynardo, Noesis), see our partners section for more information. Automatic fitting of “dead” geometries (STL, IGES, STEP) into variable, parametric geometries – with a single click! We offer individual on-site CAESES® training all over the world for setting up geometry models and for automating your CFD package with CAESES® e.g. on your HPC resources.